Hundreds of IT professionals from a myriad of industries gathered at the Innotech Conference in Dallas, Texas in late April. The conference showcased the latest in technology, allowing for executives and technology enthusiasts the opportunity to interact with new services in a hands-on environment. United Data Technologies (UDT) was on hand to present their latest offerings at the conference. Darryl Sicker, Cloud Solution Manager at UDT, hosted a session at the event entitled “Unlocking the Power of Office 365”. At the session, Sicker described how many of the common issues that employees face experience could be resolved with the features Office 365 offers. 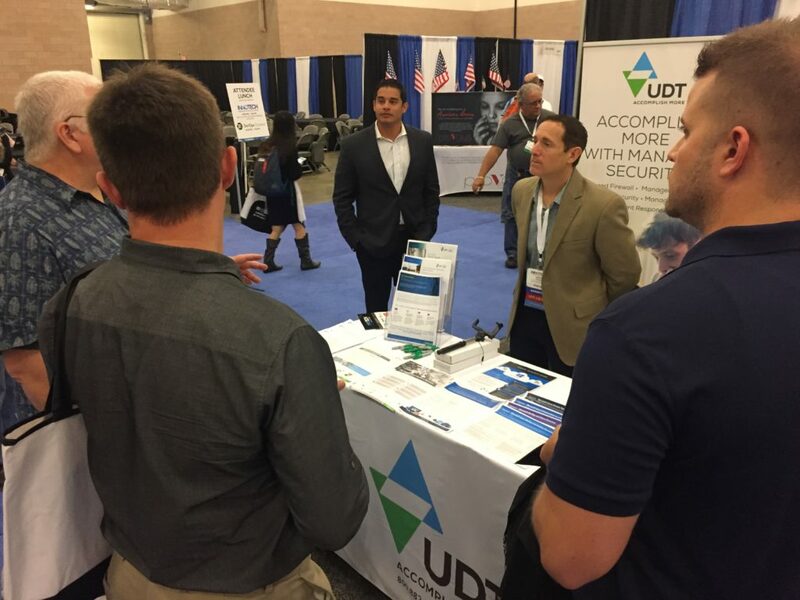 UDT also had a booth at the conference which allowed for guests to see many of the services, such as Enterprise Mobility + Security, in action. Apart from security products, UDT’s offerings regarding data infrastructure and managed services were also featured. The conference also featured the Women in Tech Summit, which featured two panel presentations and a fireside chat with prominent female leadership from different companies including Neiman Marcus and AT&T. Running concurrently was SharePoint TechFest, the largest SharePoint conference in the central region of the United States. Innotech brought together professionals for an event that featured new technologies, networking opportunities, and educational sessions as part of their annual conference series. To see where UDT will be next, follow us on Twitter!